This past weekend my daughter participated in 2 ballet shows. She loves her ballet and was very excited but we knew beforehand that the weekend was going to be a sensory overload weekend for her. I wanted her to prove to herself that she could do the shows but I also wanted to try to make sure that going into the weekend she was as calm and rested as possible. Taking a sensory child into a situation where you are expecting lots of noisy over excited kids is never going to be easy but taking a sensory child into that same situation when they are already overloaded would just be madness. So the week before her ballet performances we tried to keep everything very low-keyed. No new experiences just our normal regular weekly outings. I also tried to provide calming activities for her to do at home and made sure we got some deep pressure in. One of the activities that she really enjoyed doing was her Hama Beads. 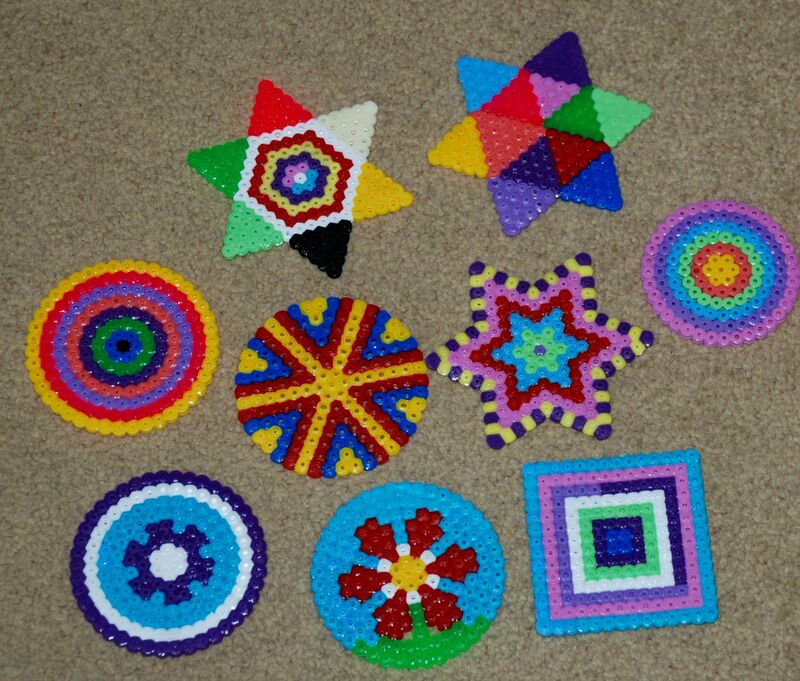 We actually found her sitting at the kitchen table early Sunday morning making some Hama Bead coasters. When I asked she said she was trying to calm herself down and doing the Hama Beads helps to relax her. She even got her little brother and dad in on the action. 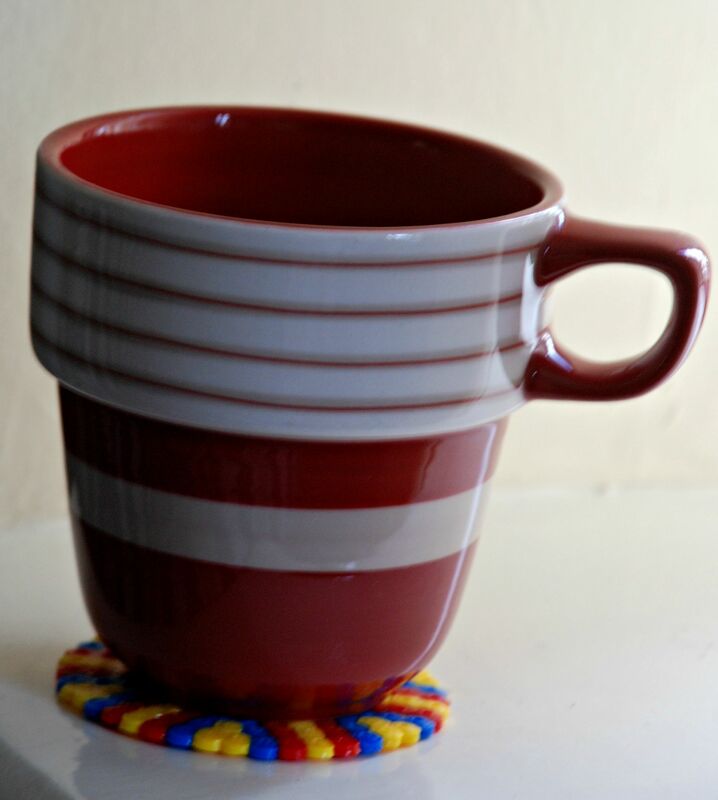 So now we have some new brightly patterned Hama Bead coasters. I love them. Oh and in case you are wondering she managed the weekend beautifully. I unfortunately did not get to see her dance in one of the shows as she had requested that I remain backstage at all times, just in case. But I have been told by a number of different people that she looked really confident and happy on the stage. I am a super proud mommy !!! If you do have an SPD kiddie who would enjoy dancing and you are in the greater Richmond area (UK) I can highly recommend Twinkle Toes Ballet. They have been amazing with my daughter. They have gone out of their way to support her. When she was younger she use to wear ear muffs to her dance class and they never made it an issue. I have no doubt that without their amazing teachers she would not have managed this busy weekend they way she did. Big thank you Twinkle Toes for making my little SPD kiddie so very happy and allowing her to prove to herself that she can be a part of such a lovely show. 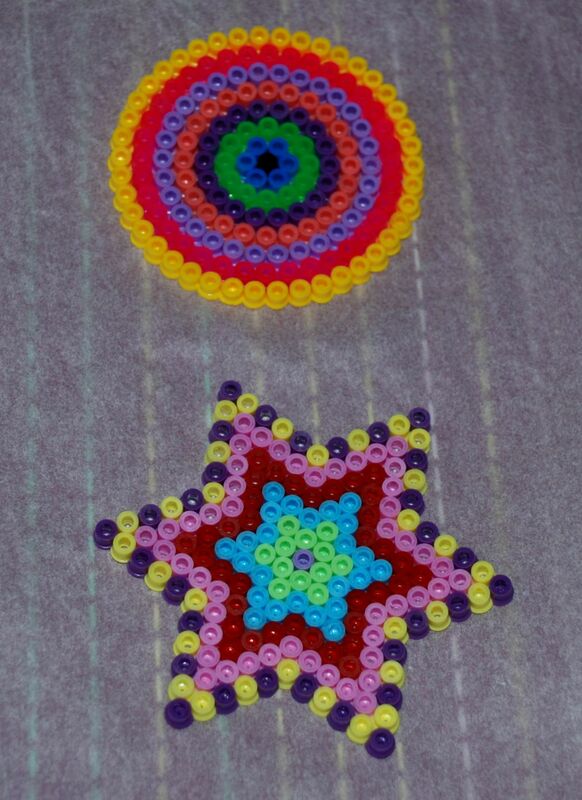 This entry was posted in SPD and tagged children's craft, Hama bead coasters, Hama beads, homeschooling, sensory play, sensory processing disorder, spd. Bookmark the permalink. So very proud of you all….and your little girl is showing everyone she can cope AND this will just get better with time and knowledge.